Ants are the symbol for unity and discipline. 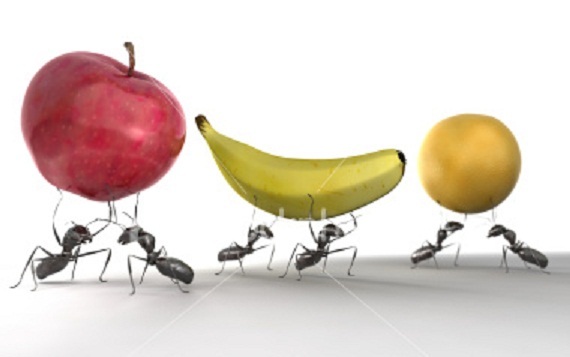 Ants live in the same place for many days and they all unite and run away when any problem occurs. The body construction of ant is also different and they are formed by getting separated from the bees before 10 crore years. People say that there are 22,000 varieties of ants. There is no heart and nostrils for the ants and they don’t have color for their blood. Ant takes in the air with the help of pores on its skin and there are many eyes on the ant’s body even though only two are visible. We also know that ants collect the food before itself. Ants can carry more weight which is more than 20,000 times of its own weight. Few type of ants carry more than 25,000 to 50,000 times than its weight. Humans can’t carry more weight than ants and weight lifters carry the weight which is more than 4 times their own body weight. It is proved that we can’t carry more weight than the ants.